The scholarship grant allows to take part in an intensive three-week course on GIS technologies for environmental projects with the use of ESRI software, to participate in the two largest in the area of ? ?GIS technology conferences: the International ESRI User Conference and Annual Conference of the Society for Conservation GIS in California as well as implies to obtain personal ArcGIS Advanced license and a number of applicable books published by ESRI. Information about the program appears here annually in January or February. Applications from the CIS and Russian neighboring countries are operated by the Russian chapter also. After the selection by chapter committee the application are sent to California where the final list of participants is produced. During the existence of the program in 1998-2015 38 people from Russia, Ukraine, Kazakhstan, Moldova, Armenia and Mongolia got scholarship grants. 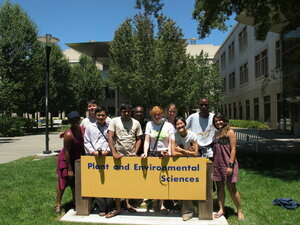 Feedback from the program participants can be found in LiveJournal. The main goals of the SCGIS conference in Russia are to build the active GIS community in Russia and the CIS, to create opportunities for dialogue and exchange of experiences. The first conference was held in Khabarovsk in 2000, it was when the Russian SCGIS chapter was created (https://books.google.com/books?id=KWf24n_jncMC&pg=PA191#v=onepage&q&f=false). 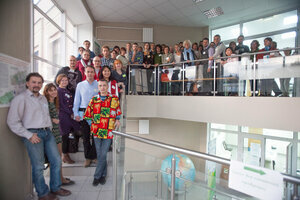 It was not only the first conference in Russia, but also the first one which was conducted by regional offices. The second time conservation GIS experts gathered in 2002 in Yakutsk. After a long break, in 2013 the SCGIS conference gathered about 80 people from NGOs, protected areas, universities and public institutions in Moscow. In 2015 (25-27 September) was held the next SCGIS Conference "Use of GIS and remote sensing data for environmental protection". 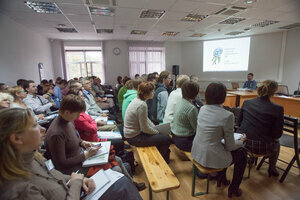 It dealed with the use of different GIS technologies for the nature conservation; about 100 specialists were attend. Community members are involved in the design and conducting of trainings and workshops for environmental NGOs, conservation projects and other related organizations since 1998. Some instructors are certified by Juniper GIS (http://www.junipergis.com/). Since September 2015 trainings are held every one or two months. In 2010-2016 more than 100 specialists (employers and volunteers of conservation NGOs, students and university teachers, scientists and the employers of natural protected areas and others) have participated the trainings. SCGIS Russia is an informal association, so if you are performing the functions of GIS specialist in environmental projects and maintain regular contact with colleagues - you can already consider yourself to be member in some way. 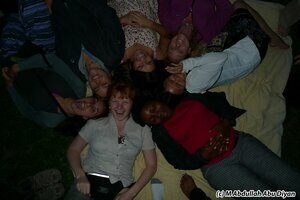 - Write to coordinators about your wish to participate in community activities. You can take part in the arranging of conferences and workshops, or to organize a training event and invite experts to teach there. Any ideas for community development in Russia and neighboring countries are also accepted with gratitude. You can send ideas and suggestions to e-mail scgisrussia@gmail.com. You can check community news on Facebook and LiveJournal pages.